OVERVIEW:Temperature measurement and control Is a temperature controller used to control the tempera..
OVERVIEW:Explosion Proof Type.Type : FFh-2E Detect-A-Fire.Preset Tempearture 70 degree Celcius (or a..
OVERVIEW:Digital Multi-input Temperature Indicator, Indication by LEDS.Measuring Ranges ( Settable a..
OVERVIEW:Digital Multi-input Temperature Indicator, Indication by 14mmLEDS. 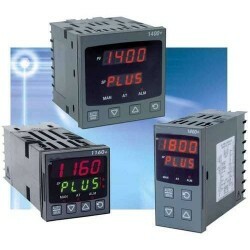 Suitable for Pt 100..
OVERVIEW:Dual power supply module for measurement and control of voltages present at supply inputs ..
OVERVIEW:Automatic transfer switch controller with rs232 port; 96x96mm (3.78x3.78”)..Features:Suppl.. OVERVIEW:Automatic transfer switch controller with rs232 port; 144x144mm (5.67x5.67”)Features:Dual ..
OVERVIEW:Automatic transfer switch controller with optical port for 2 power sources (144x144mm/5.7x..
OVERVIEW:Automatic Power Factor Controllers DCRG Series With Graphic Backlit LCD.Feature:Suitable fo..
OVERVIEW:Digital microprocessor power factor controller.3 Digit 7 segment LED display.4 key membrane..
OVERVIEW:Automatic Power Factor Controllers DCRL Series With Icon type large LCD display, with white..
General Characteristics:4 digital inputs, 5 relay outputs.VAC inputs: mains L1-L2/N-L3, generator L1..
OVERVIEW:Engine protection controller, 12/24vdc, built-in power supply key switch, with ttl program..
BENEFITS:Outstanding functions & user-friendlinessComplete protection & data displayOptional..
OVERVIEW:Automatic mains failure (amf) gen-set controller, 12/24vdc, graphic lcd, usb/optical and wi..
OVERVIEW:Automatic mains failure (amf) gen-set controller, 12/24vdc, graphic lcd with rs485 port and..
OVERVIEW:Mains-generator paralleling control. 12/24vdc, graphic lcd, with rs485 port, usb/optical an..
OVERVIEW:Control of mains, automatic transfer switching (ats), and paralleling on multiple generato..
OVERVIEW:Paralleling control among generating sets. 12/24vdc, graphic lcd, rs485 port and usb/optic..
OVERVIEW:Power Factor Controller:Digital 12 steps with Alarms.With Built-in Power Analyzer.With Cont..
OVERVIEW:Power Factor Controller:Digital 6 steps with Alarms.With Built-in Power Analyzer.With Conti..
OVERVIEW:SUITABLE FOR : "K" Type Thermocouple , Range 0-400 CDOCUMENT:NUX HY-48D-FKMNR Temperature C..
OVERVIEW:SUITABLE FOR : Pt-100 OHMS Sensing, Range 400 CDOCUMENT:NUX HY-48D-FPMNR Temperature Contro..
OVERVIEW:SUITABLE FOR : "K" Type Thermocouple , Range 0-400 CDOCUMENT:NUX HY-72D-FKMNR Temperature C..
OVERVIEW:SUITABLE FOR : "K" Type Thermocouple , Range 0-400 CDOCUMENT:NUX HY8000S-R08 Digital Temper..
OVERVIEW:SUITABLE FOR : "K" Type Thermocouple , Range 0-1200 CDOCUMENT:NUX HY8000S-R13 Digital Tempe..
OVERVIEW:Temperature Controller Micro proecessor Based Digital Auto Tuning. DOCUMENT:NUX Temper..
OVERVIEW:Temperature Controller Micro processor Based Digital Auto Tuning. DOCUMENT:NUX Tempera..